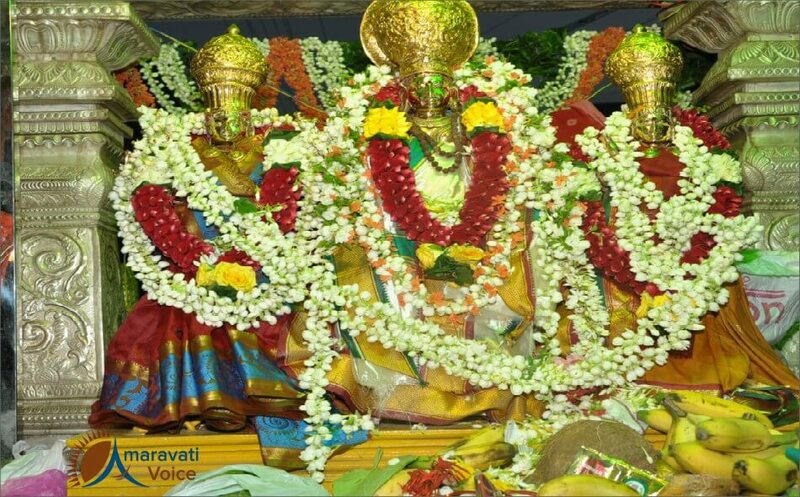 ‘Vasanta Navaratri’ Utsavalu which would be celebrated for nine days are started on Ugadi day and are continuing in a grand way, with devotees coming in huge numbers. ‘Vasantha Navaratri’ festivities began with temple authorities offering jasmine to Goddess Kanaka Durga at Asirvachana Mandapam on the first day as part of ‘Laksha Pushparchana’. More than 30 couples participated in the special puja. Sesha Vasthram, a blouse piece, five laddus and five pulihora packets were presented as prasadam to each devotee after the end of puja.